Over the past twenty years Kate Spade New York (KSNY) developed a formula for pop-culture meets upper east side chic that epitomizes their brand recognition to fashionistas in the know. In honor of their 20th anniversary Kate Spade has dedicated the month of August to the location of their flagship store in NYC simply titled KSNY x Darcel. If Jeff Koons, Andy Warhol, and Takashi Murakami were to hypothetically walk into a bar in New York, the punch line would be the artist behind the new collection, Craig Redman. His design aesthetic is reminiscent of the pop-culture greats, many of which share a similar admiration to all things NYC. While the collection may not be suited to all tastes, Kate Spade fans will find delight at every turn while exploring this collection. Specifically campy and kitsch, the designer collaboration fully embraces the melding of his pop culture aesthetic with a brand that does not shy away from its culture of a visually analogous product line. Standouts in the latest collection include the donut bangle and the hot dog coin purse. 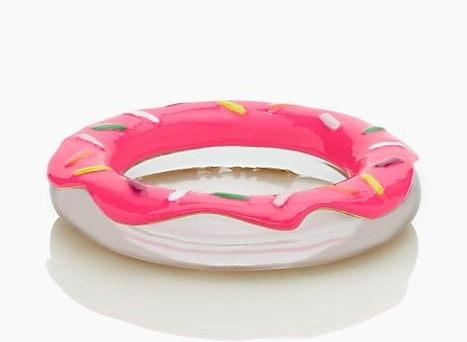 The resin bangle is dripping with a pink enamel glaze that will suffice as a guilty pleasure placebo for those who don’t subscribe to an actual cheat day in their diets. 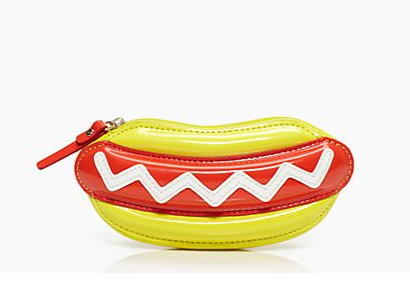 While the hot dog coin purse is irresistibly popping with brightly colored patent faux leather colored red in yellow that will compliment a summer baseball game at your favorite park. For the tech savvy fashion forward set, you can get in on the latest collaboration without having to purchase a single item. KSNY has paired with the app Snaps which allows you to pose with virtual versions of your favorite brands. Now you can pose with Darcel anywhere you can take your smartphone. The collection and the Darcel photo booth are now available online. 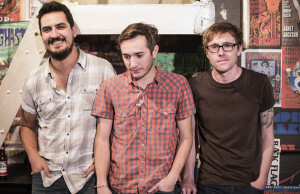 Reach reporter Sarah Ledesma here and follow her on Twitter. Next Story → BeautyCon Brings Top Beauty Experts To L.A.
Nice information you have provided within this post. Visitors can find related info at a website such as see resource. That type of website is helpful for people looking for details about the concepts described in this article.